This sample plan shows how a Morgan Stanley Financial Advisor will help you identify ways to achieve the financial objectives most important to you. 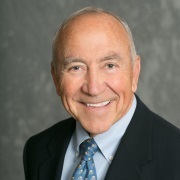 Dennis Forster, an advisor of the firm since 1979, has a long and successful tenure with Morgan Stanley and its predecessors, assuming roles from Branch Manager to Financial Advisor. Dennis is an accredited member of the prestigious CERTIFIED FINANCIAL PLANNER™ Institution. Dennis is the leader of The Forster Group at Morgan Stanley, and his unofficial title is “chief advocate" for his clients. He focuses on investments and estate planning strategies for high net worth families, strategic consulting to businesses, the management of endowments, and education funding. As a Financial Advisor, Dennis is committed to looking at the complete picture of wealth management, which includes investment selection, asset allocation, intergenerational wealth transference, income & cash flow planning and retirement planning. His mission is to help our clients achieve their financial goals and he is determined to stay abreast of current strategies and laws to help guide our clients to successful outcomes. As an active member of the community, Dennis has served as a past president of the Jaycees, Santa Barbara Newcomers, and the Marian Medical Foundation. He has also served on the committees of the United Way of Santa Barbara, The Santa Barbara Bowl, YMCA and the Santa Barbara Council on Self-Esteem. Dennis currently is a member of the Rotary Club of Goleta, and is the past President of the Santa Barbara Ski and Sports Club, where he’s earned the nickname “The Bullet.” Dennis has been married to his wife, Patty, for over 50 years, and is blessed with six grandchildren. 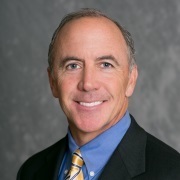 For over 20 years, Jeff Forster has been advising Corporate Retirement Plan Sponsors with the construction of retirement plans, including fund selection and monitoring, fiduciary liability, investment policy and employee education. In 2012, he earned the Corporate Retirement Director Designation, an exclusive distinction earned by approximately 2% of Morgan Stanley Advisors. Jeff also focuses on helping small and middle-market business owners manage their business and personal wealth management plans-from cash management to exit strategy. Additionally, Jeff advises on retirement and financial planning for high net worth families, the management of endowments, and business lending. Mr. Forster has been with Morgan Stanley and its predecessors, since 1998. Prior to this, Jeff was a VP for Gallup in Tokyo, Japan. He is a graduate of California State University, San Diego with a degree in International Business. Jeff is not only dedicated to steering his clients to a successful financial future, he is also very involved in the Santa Barbara community. He is a 2007 graduate of the Katherine Harvey Fellows program, a program sponsored by the Santa Barbara Foundation, which cultivates community leaders. 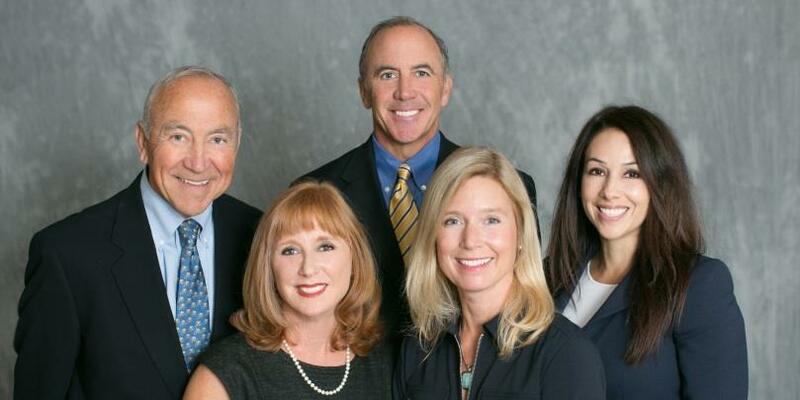 Jeff has also served on the finance committee of the Santa Barbara Foundation. Jeff is an active community supporter. He was a member of The 1st Tee Central Coast for 17 years serving in many capacities, most notably as President of the Board for three years. The mission of the 1st Tee is to positively impact the lives of children by providing learning facilities and educational programs that build character, install life-enhancing values and promote healthy choices through the game of golf. Additionally, Jeff is a founding member of the CPA/Law Society of Santa Barbara County. Jeff's biggest passions in life, however, are his wife, Laura and three children, Julia, Samantha, and Jeffrey. 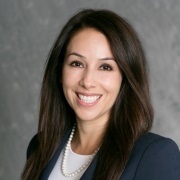 Eva Enrigue joined Morgan Stanley in 2014 as a Private Banker Associate, servicing the Santa Barbara, Oxnard, and San Luis Obispo offices. As a Banking Associate, she worked with Financial Advisors helping their clients establish lending strategies to accommodate their financial needs. In 2015, she joined The Forster Group as a Financial Advisor. With her background in banking, she looks at both sides of our client’s balance sheet to help optimize lending strategies, tax efficiency, social security optimization, portfolio diversification, and liability management. Additionally, Eva provides ongoing advice to retirement plan sponsors to help them meet their fiduciary responsibilities when it comes to running a best in class 401(k)/403(b) Plan. Eva is very involved with the implementation of Employee Financial Wellness Programs and educating employees on the benefits provided by their company retirement plans. Eva has been in the financial services industry for 10 years. Most recently, she worked at Wells Fargo Advisors offering investment services and Wells Fargo Bank, providing clients access to consumer and business lending. Prior to that, Eva was involved in developing software applications for the Hedge Fund industry. She attended Columbia University, and earned a Political Science degree in 2004. Eva is a member of the Women’s Economic Ventures (WEV), and is currently a member of the Loan Committee. Eva is bilingual in English and Spanish. Apart from growing the practice, Eva enjoys traveling and donating her time to local nonprofit organizations. On the weekends, she enjoys spending time in her native home town of Santa Barbara, walking on the beaches and hiking our coastal foothills. Julie Williams joined The Forster Group in 2003. 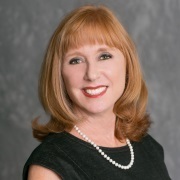 She is currently responsible for providing financial planning for our clients as well as organizing our financial and educational workshops for business owners and nonprofit organizations. Julie also supports our team with new product and service initiatives, performance reviews and client communications. Julie began her financial services career over 25 years ago in San Francisco, at CS First Boston as an Associate Sales Supervisor responsible for sales supervision, processing and approving new accounts and monthly account reviews. In 1995, she joined Volpe, Brown Whelan & Company, a boutique Investment Bank, specializing in technology and healthcare companies. While there she was responsible for OTC trading compliance, sales supervision, continuing education and annual audits. She is a graduate of University of California, Santa Barbara, with a degree in Communications. While away from the office, Julie enjoys time with her husband John, children Mary and Warren, and her extended family and friends. On weekends, if she isnt traveling to watch her kids play soccer, she can be found walking Buster, their yellow lab, at the beach or enjoying the local scene in Santa Barbara. 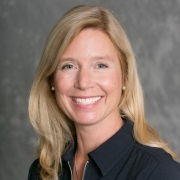 Bettina (Tina) Behal joined the Forster Group in April of 2015. Acting as the Client Services Associate for the Forster Group at Morgan Stanley, she enjoys interacting with and assisting our esteemed clientele with account operations and administration. Her tenure in the Financial Services industry is a great benefit to our team and a tremendous resource to our clients. Tina started her career over 25 years ago with Prudential Securities where she obtained her securities licenses and went on to work for companies such as Bank of America, BA Investment Services, Santa Barbara Bank & Trust, New York Life Insurance Company and Charles Schwab & Company, holding the positions of Associate Financial Advisor, Registered Representative and Financial Consultant. Tina and her husband are happy and active empty-nesters, living on the beach in Ventura. Many days you will find her walking along the shore after work or entertaining one or more of her six grandchildren building sand castles. With four children between them, Bettina and Doug never seem to have a dull moment on the California Coast.